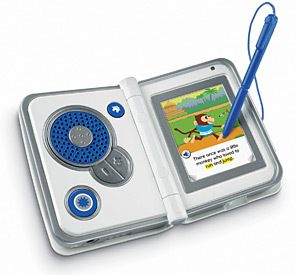 Handheld learning systems have gone through many iterations over the years. The question always: is this a replacement for classroom or tutor=based learning? The answer is always no: not a replacement, not a substitute, but rather a supplement. What an educational toy like this does is make learning mobile and enjoyable. Thus on a long car ride, a child can learn, rather than simply play a handheld video game system. A learning system is designed with the consultation of experts in the field of effective learning. That is how iXL is built: to create the right connections between patterns and things, whether mathmatical representations or verbal constructs.